'Waterfall Wednesdays' if a read-along event where we discuss Lisa T. Bergren's novel 'Waterfall'. This week we are discussing Chapters 1-6. 1 - Waterfall opens with the introduction of Gabi, she's depressed, a little angry and is dealing with feelings of loneliness. Are you connecting with her this soon in the novel? Do you see things you like or dislike? It's hard for me to remember how I felt about Gabi when I first read 'Waterfall' (I've now read all three books), but I think I already liked her character and I feel like we are similar in many aspects. 2 - Gabi gets to time travel back to 14th Century Italy- The Dark Ages in its prime. Is there any time in history that fascinates you and would you travel back if you could? I don't think I would want to travel back in time - even if I could - to ANY time in history, but I find 1900's, Medieval time, and Henry VIII's story interesting. 3 - Most of the men, including Marcello have a very set opinion about a woman's place. Gabi gets manhandled a bit in these first few chapters, and even gets asked if she's a witch. The men are shocked when Gabi rides a horse like a man and shimmies down the castle walls. What do you think of men's mentality back then? Gentlemanly, chauvinistic, simple-minded? I think it's a mix. Somewhat gentlemanly, but also chauvinistic. 4 - When Gabi becomes a part of this era, the people are immediately intrigued but suspicious of her. Many judge her by her difference. Do you think this is fair? Have you ever been in a situation where you felt like an outsider or that others were misjudging you? I don't think it's fair to be judged on differences and I think most people feel like an outsider at some point in their lives. 5 - What do you think the coolest thing would be about living in the Dark Ages? What would be the worst? I think the coolest thing would be...hmmm that's tough, but I'll say the beautiful dresses and castles. The worst thing would be to not have plumbing and electricity. 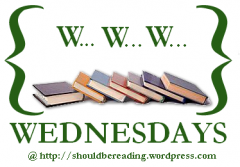 Injustice For All: A Justice Seekers Novel by Robin Caroll is my 'Waiting on Wednesday' pick this week. It sounds really interesting & I hope to read it ASAP. A federal judge lies bleeding on his office floor, betrayed by a most unlikely source—people who helped him bring criminals to justice. Now, why would someone working for the FBI need to disappear after witnessing this crime? When Remington Wyatt sees her godfather’s murder, she recognizes the killers and knows it’s only a matter of time before they come to silence her. She must do the only thing possible to stay alive . . . run. FBI agent Rafe Baxter is serious about his career, and solving a cold case involving a federal judge’s death puts him in line for the promotion he so desires. But the case leads him to the small town of Hopewell, Louisiana, where some secrets seem inextricably hidden deep within the bayou. Injustice for All explores what happens when everything a person believes in is utterly destroyed. 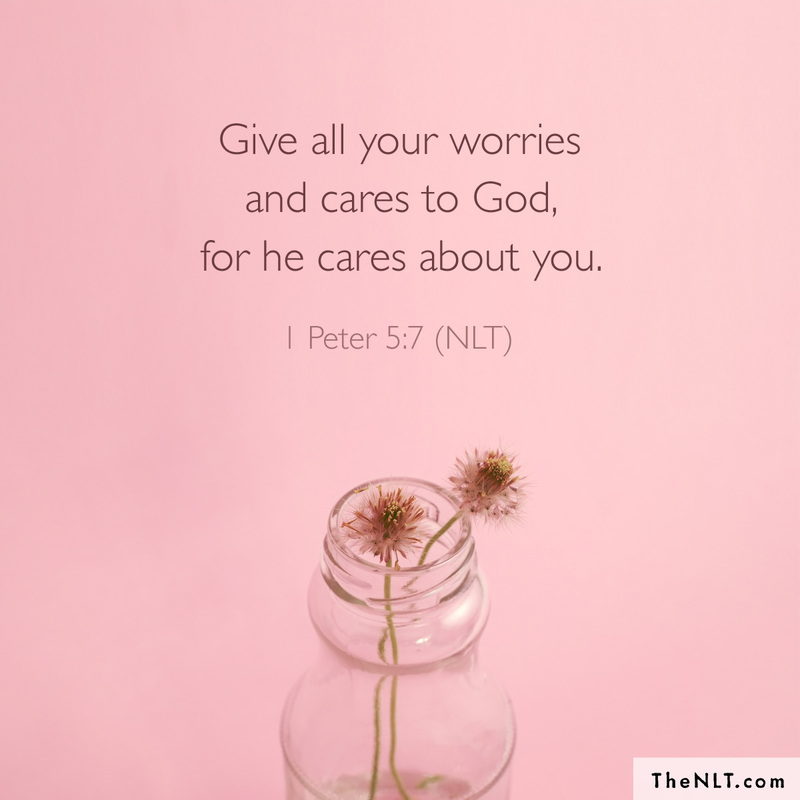 Who can you trust? I LOVED alot of the books that I've read this month. I loved 'Learning', 'The Queen', 'The Healer's Apprentice', 'Cascade', and 'Torrent'. My favorite book is hard to choose, but I'm picking 'Torrent''. I made (and surpassed) my goal to read at least 8 books in August - so my new goal is to read at least 10 books in September! 'Torrent' the third (and final) book in 'The River of Time' series and the fourth book that I've read by Lisa T. Bergren. 'Torrent' picks up right where 'Cascade' left off. After traveling through time to save their dad - Gabi, Lia, Adri (their mom), and Ben (their dad), travel back in time to 14th Century Italy. Even though there is the threat of the 'Black Plague' arriving, getting killed, and/or tortured, Gabi and Lia still want to return and remain in Medieval Italy for as long as possible. They will have to deal with wars (again), imprisonment (again), kidnapping, and forced marriage. I loved this book! The story was so addicting and I finished 'Torrent' in under 2 days! There was alot of action, romance, and a ton of suspense! I liked many of the characters including: Gabi, Lia, Marcello, Luca, Ben, and Adri - to name some of them. As I said 'Torrent' is very addicting and I don't think there was a "good" place to stop reading because I wanted to continue on and see where the story was going to continue. If you decide to read 'Torrent' be prepared to stay up late reading☺! I REALLY hope that Lisa Bergren will write more books in the future with these characters (I don't want to say goodbye to them yet...) and if she does, I definitely plan on reading them! I highly recommend the entire 'River of Time' series ('Waterfall', 'Cascade', and 'Torrent'). http://bookjourney.wordpress.com/ hosts this event and I decided to participate. I made my own banner (above), but Book Journey is where I heard about this. 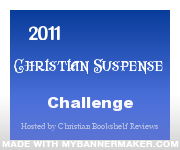 I decided to post about my progress on my '2011 Christian Suspense Challenge' (if you want to participate, go here). *Please rate my review. I thank you in advance, if you decide to. 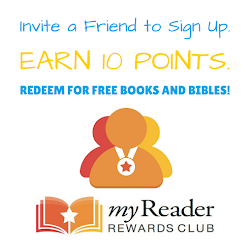 Waterfall Wednesdays ~ A Read-Along Event!!! I've read and LOVED 'Waterfall' and 'Cascade' and this event sounds really cool! 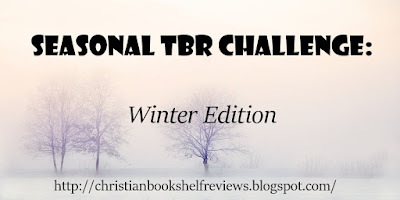 Lisa Bergren will be giving away a trilogy set of her series to one winner each week! It's an event that anyone who has read 'Waterfall' (or wants to) can't miss! That's my WoW...What's your 'Waiting on Wednesday' pick this week? THEY SAY KEEP YOUR FRIENDS CLOSE AND YOUR ENEMIES CLOSER... BUT WHAT IF YOU CAN'T TELL THE DIFFERENCE? 'Reluctant Smuggler' is the third book in Jill Elizabeth Nelson's 'To Catch a Thief' series and my favorite of the three. Desiree Jacobs is trying to plan her wedding, run her business 'HJ Securities', and avoid dangerous situations. But her plan isn't working - it seems as though danger follows Desi everywhere. While she's in Mexico, she was robbed three times in the same day, was held at gun point, and many other similar incidents. Meanwhile, FBI Agent Tony Lucano was stuck in Boston...literally. A blizzard made airports close, phone lines go down, and cell phone service unavailable. And when Tony goes on a mission during the storm, he ends up in a coma fighting for his life. 'Reluctant Smuggler' is my favorite in the series (so far). I don't know whether there will be another addition, but if there is, I will definitely want to read it. As usual, I loved Desi's, Tony's, and Max's characters, but I also enjoyed Mama Gina and even Stevo's character. I loved this story - it had so many twists and kept me guessing. There were many times I was "on the edge of my seat" waiting for what was going to happen next. I won't mention one other thing that I really liked about this novel because I feel it would spoil parts of the book for you - should you decide to read it. I recommend 'Reluctant Smuggler' if you enjoy a good, clean suspense/mystery book (with romance)! Note: You need to submit your email address for it to count. Someone is trying to harm Rachel Grant. First, she is attacked and robbed outside her family's spa - then the greenhouse where she stores special plants for her new scar-reduction cream is broken into and trashed - and if that isn't enough, a car tries to run Rachel down when she is riding her bike. I love reading 'Love Inspired Suspense' books because they are quick and easy to read, full of suspense, have romance, and are mostly clean. I've had this book on my shelf for awhile and since I had the time, I decided to pick 'Formula For Danger' up and read it...finally! I realize that this is the second book in the 'Sonoma Series' (the first book is 'Deadly Intent') and I probably should have read 'Deadly Intent' first. I don't feel like I wrecked the first book, however, by reading them out of order - I just know a few extra details. 'Formula For Danger' starts out with Rachel getting attacked and robbed of a brand new laptop outside her family's spa. From there the story escalates. The twists and turns kept me guessing and trying to figure out who the culprit was. I really liked the characters, especially Rachel and Edward. Rachel worked really hard at her work in an attempt to please her father but all she got was rebuking and criticism. Edward's father was a workaholic and Edward doesn't want his future kids to ever have to deal with the pain associated with a parent that chooses work over major moments in a person's life - that's why he distanced himself from Rachel when he saw her choosing work over family and friends. As you can see, 'Formula for Danger' has a really interesting plot. I loved the romance and mystery. I loved how the reader could play detective and maybe figure out the mastermind behind it all. The only reason I'm giving this 4.5 stars is because I wasn't totally captivated by the book in the beginning. I recommend 'Formula For Danger' if you enjoy mystery and romance.